Mitre Court is located on the Hunter Street campus and consists of 13 flats. It is self-catered accommodation. The bedrooms vary in size; most tend to be on the generous side. 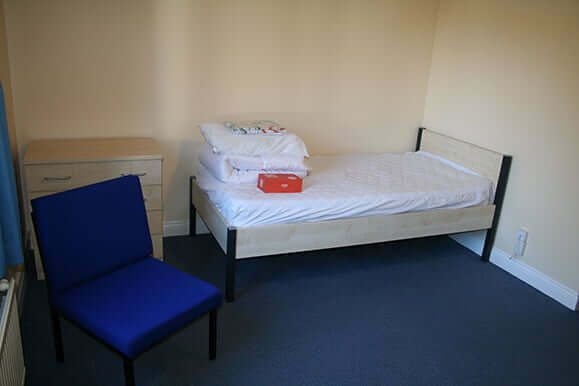 All rooms have their own vacuum cleaner and bedding packs are provided to all new students. 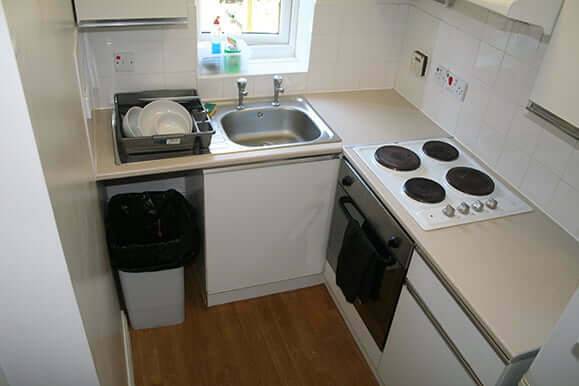 The kitchens are fully equipped with cookers, microwaves, toasters and kettles. Students need to bring their own towels, pots & pans, crockery and knives and forks. Please note – some of the kitchens are not big enough for a dining table and chairs. The communal areas are cleaned daily Monday to Friday, (excluding Bank Holidays). To assist the cleaning staff you are asked to wash up after yourselves. You are responsible for your own cleaning if you reside in a self-contained room. Mitre Court has a small car park. This can be used by any University staff member or student. The nearest laundrette is in Hailsham House. 2 bedrooms. Single beds. One bedroom is on the ground floor, the other is upstairs. Shared kitchen and bathroom. 2 bedrooms. Single beds. Room 2a also has an additional separate study room. Ground floor bedrooms. Shared kitchen and bathroom. 2 bedrooms. Single beds. Ground floor rooms. Shared kitchen and bathroom. Rooms 8a and 8b. 2 bedrooms. Single beds. Room 8a also has an additional separate study room. 1st floor rooms. Shared kitchen and bathroom. Room 8c is located up the stairs in this flat and is a self-contained apartment, with its own bedroom, bathroom and kitchen. It features a double bed. Located on the first floor. 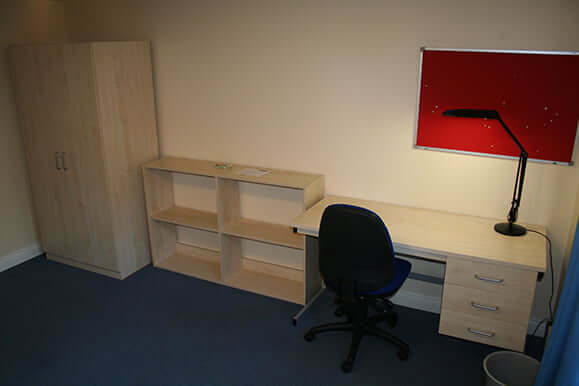 9a, 10a and 11a are compact self-contained rooms which feature an open plan bedroom/kitchen and a bathroom. 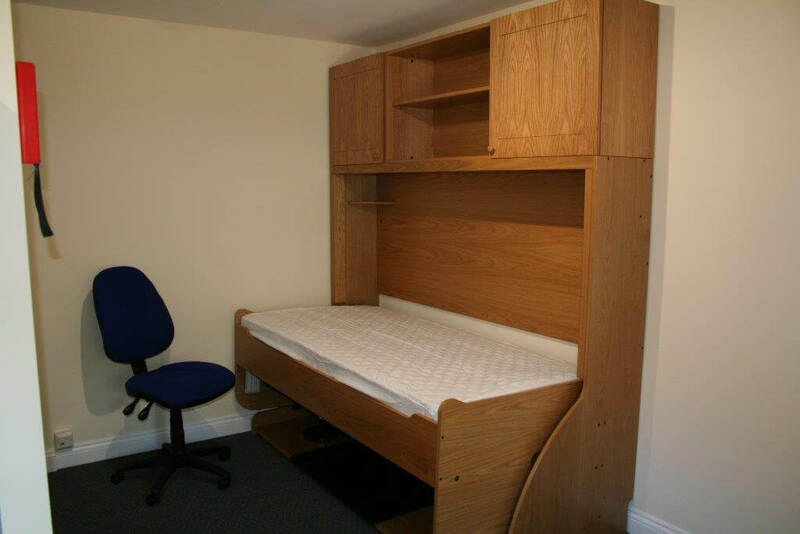 Due to the restricted space in these rooms the beds are ‘fold away’. 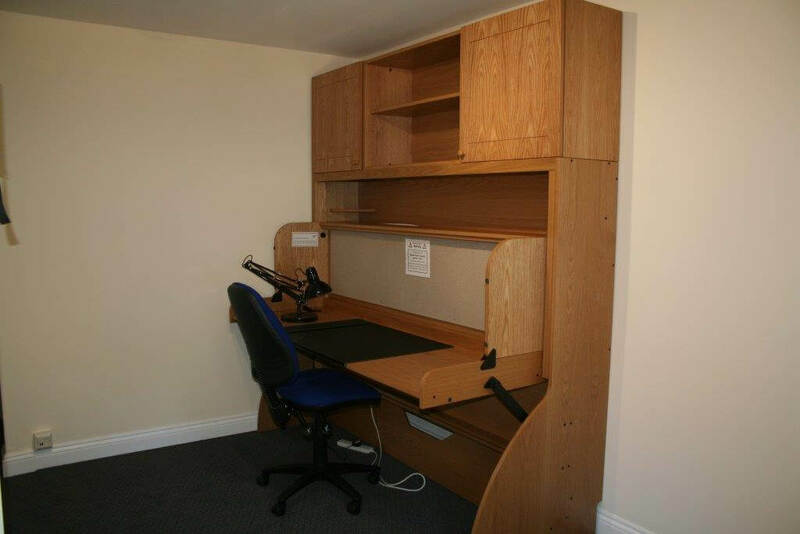 When not in use the bed converts to a desk. 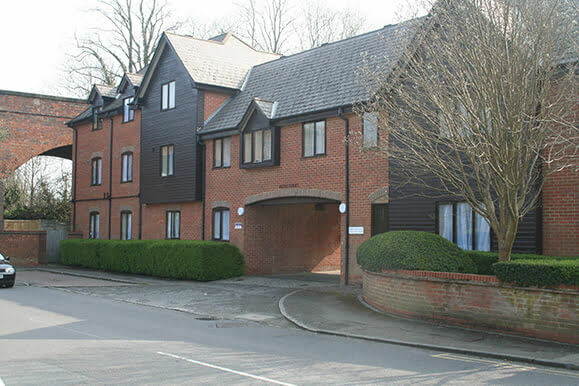 9b, 10b and 11b are larger self-contained apartments which feature a bedroom, a kitchen and a bathroom. These rooms have double beds. 3 bedrooms. Single beds. Second floor rooms. Shared bathroom and kitchen.